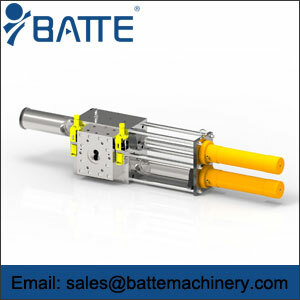 The continuous double-piston backflush screen changers are fully automatic continuous self-cleaning screen changer as soon as a defined pressure and flow. This continuous screen changers with backflush system allow the process pressure to be reversed through the screens to dislodge contaminants. 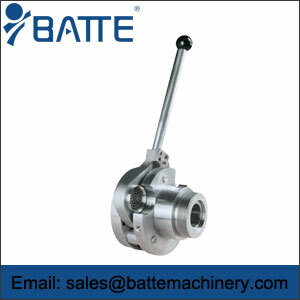 2.Low pressure build up - to prevent thermal variations of the melt during the continuous screen changer. 3.No dead spots for fast changes of material or colorapprox. 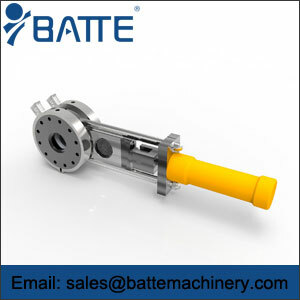 5.Continuous screen changers with backflush system operational reliability and long durability. 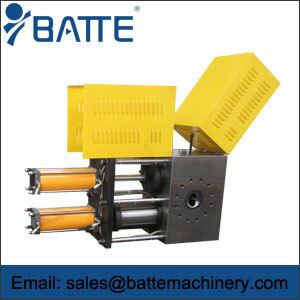 6.Backflush continuous screen changers are typically only used where recycled or very dirty materials are processed. 4.Especially high portion of recycled material and high portion of recycled material (fibres/straps/non-wovens, films, especially PET recycling) for ensuring a high process and volume flow constancy. 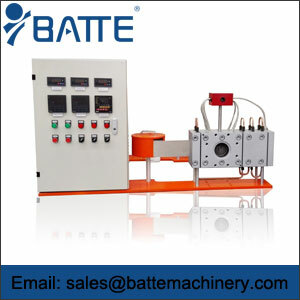 Batte is a screen changers manufacturer in China,We manufacture Single plate continuous screen changer,Hydraulic screen changer extruder,automatic belt mesh screen changer and Double-column continuous screen changer depending on the application, contamination, level of filtration required.